In the realm of skilled based careers, the media industry is a sure contender for the foremost position as a very lucrative and sustainable means of income. With a myriad of skill sets that come together to make up the media industry we know today, there is surely a skill set uniquely tailored to you. 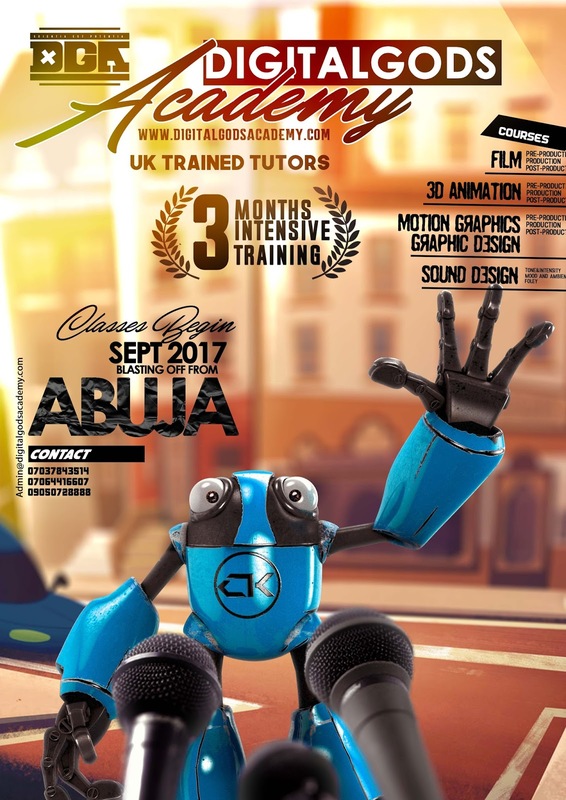 We at Digitalgods Academy are delighted to inform you that you can now learn and polish your desired media based skill set, with the ability to choose from the 4 courses that make up our program. 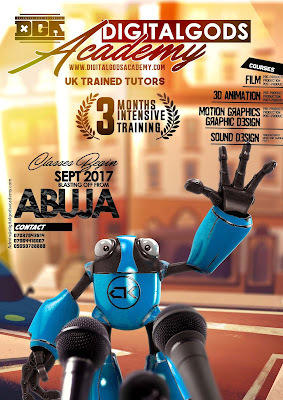 Digitalgods Academy will be tutored by UK trained film and new media graduates, highly skilled Nigerians who see the value and need to share the best-kept industry secrets, with fellow Nigerian who also have that burning desire to acquire or upgrade their knowledge for the betterment of self and society. Our long term goal is to see that our graduate has become the pillar of the media industry in Nigeria, championing the core media sectors eg, film, documentaries, advertisement, visual effects etc. With our head office situated at Gwarimpa, Abuja and our 80 capacity, well furnished and equipt classroom for comfortable learning, located along Kumasi Crescent, Wuse 2, Abuja, we pride ourselves on providing our students an adequate learning experience. 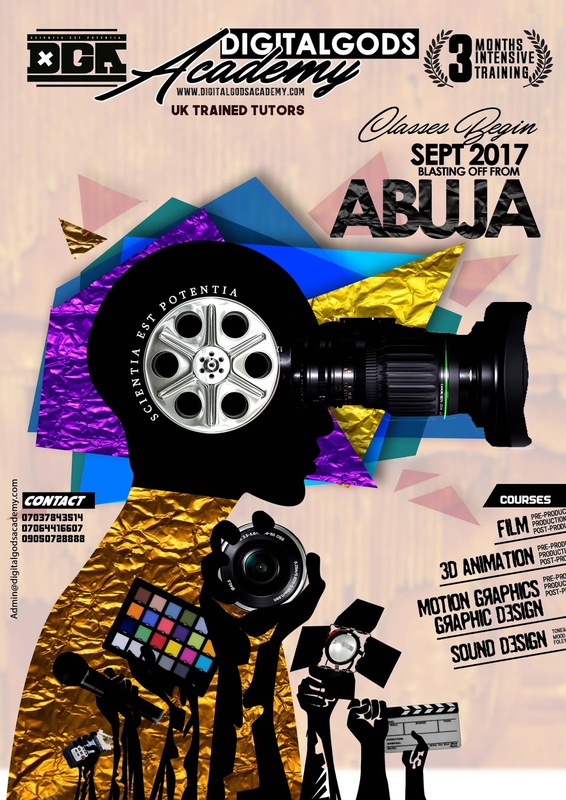 Our classes for the next set of enrolled students begins in September 2017, if you have the desire to learn any of our courses, don't waste any time to enroll with us and open your mind to a world of possibilities that awaits you.